RESCUE REHAB: Something for everyone! Opening day at the Farmer's Market cabin is almost here. I have lots of small items that will fit any budget and almost all display items are also for sale. Here are just a few examples. 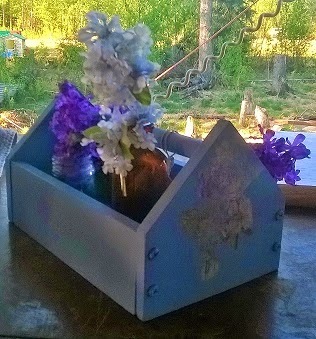 This sweet lavender caddy has a floral transfer on it. 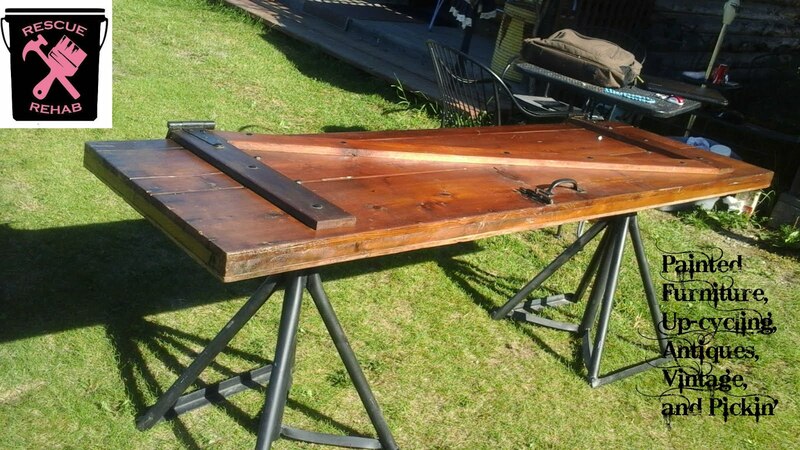 This older wooden bunk bed ladder is perfect for displaying quilts, or linens. 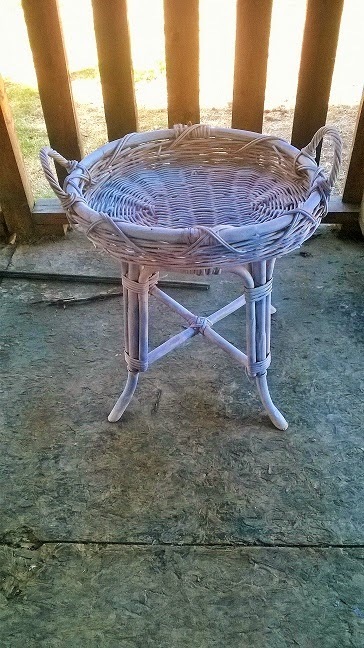 This was a plain wicker basket on legs and I painted it up. Lots of display ideas for this, I will be using it for my wooden letters from an old church sign. Hope to see you at the Market!!! I'm sure your market will be a huge success. Have tons of fun! Thank you for sharing at Vintage Inspiration Party. Love the tool caddy - looks like you are all ready to sell, sell, sell! Thanks Donna!! I still have so much to do today before the market opens!! !